CEDAR RAPIDS, Iowa (December 14, 2017)-Kirkwood Community College introduced Dr. Lori Sundberg as its next president in an announcement ceremony on the college’s main campus Thursday afternoon. She will be the fifth president in Kirkwood’s history. Sundberg has served in her current role as president of Carl Sandburg College in Galesburg, Ill. since 2010. Of her 22 years of experience in higher education, the last 12 have been as a senior administrator at Carl Sandburg including vice presidential positions in Academic Services as well as Administrative Services. In addition to her leadership roles, Sundberg also has experience in the classroom. Early in her career, she was an adjunct economics instructor at Carl Sandburg and also taught accounting courses at Knox College in Galesburg. Since 2013, she has been an adjunct instructor in Ferris State University’s Doctorate in Community College Leadership program. To Sundberg, her experience both as an administrator and as an educator has given her the tools to lead Kirkwood. Sundberg holds a Doctor of Business Administration in Management degree from St. Ambrose University (2003) as well as a Master of Business Administration in Marketing from Western Illinois University (1998). She received her undergraduate degree from Knox College with a Bachelor of Arts double major in Economics and History (1995). 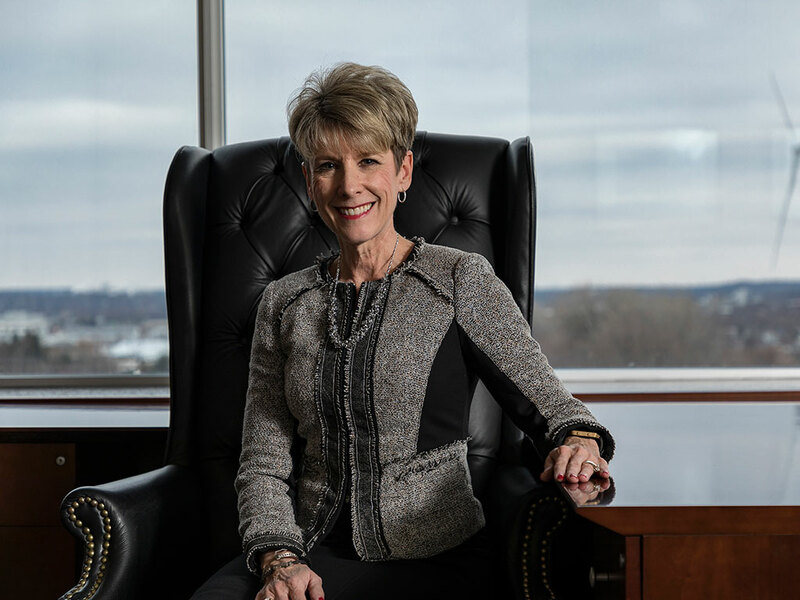 Sundberg is also an alumna of Carl Sandburg College and is the first graduate of that institution to become its president. At the beginning of the presidential search process, the Kirkwood Board of Trustees developed a comprehensive list of qualifications desired in the next leader of the college. According to Board Chair Jim Mollenhauer, Sundberg met all of them. Sundberg will succeed current Kirkwood President Mick Starcevich following his retirement in June.